This is the wording from the Act. and for the purpose of this ground “rent” means rent lawfully due from the tenant. This is the big one in many senses, the last of the mandatory grounds for eviction and the source of so much contention for landlords, both social and private. Worth noting that the old Housing Corporation frowned on housing associations using this one. Some did and some didn’t, whilst others only used it occasionally. Its quite widespread these days though. However, despite being a mandatory ground many housing officers report that judges still give suspended possession orders even where the ground is proven. Also worth noting that social landlords have to fulfil the court requirements of a lengthy and protracted pre-action protocol before even applying to court, something private landlords aren’t troubled by. Unlike section 21 proceedings the length of time of a notice using this ground is only 2 weeks (probably nearer three weeks once you factor in time for service), so in theory it is quicker but unlike s21 proceedings there has to be a court hearing with this one and the wheels can come off quite quickly in terms of adjournments for sloppy paperwork submitted by either side. And, not to put too fine a point on it, if the tenant borrows enough money to get the rent arrears down to just £1 under the required period then the ground is lost because the arrears must be outstanding both at the date of the notice and the date of the hearing. And, not to put too fine a point on it, if the tenant borrows enough money to get the rent arrears down to just £1 under the required period then the ground is lost because the arrears must be outstanding both at the date of the notice and the date of the hearing. 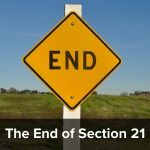 Many landlords choose section 21 proceedings which are procedurally easier and don’t require a hearing even where there are rent arrears, preferring to either chase the money through a different route or waiving the arrears altogether as a waste of time. However if you do use the rent arrears ground, the Possession Claims Online Procedure (PCOL) is available to you – this is worth using as you will generally get an earlier hearing date. Plus it’s cheaper. Tenants can’t argue that the arrears are down to a delay in the housing benefit procedure. Responsibility for paying the rent lies with the tenant, however it may be they arrange for payment of it. If a tenant writes a cheque against some or all of the arrears and that cheque is accepted by the landlord then the cheque is considered to be delivered on the date the cheque was given, providing the funds actually clear. This is known as a ‘Conditional payment’. Generally the court will adjourn the proceedings to see if the cheque clears and re-list the case for hearing if it doesn’t. It’s really down to number crunching. Are the arrears as claimed by the landlord? Where there is no written tenancy agreement with the relevant clause then under common law the rent is properly calculated in arrears not advance, so that is worth examining. And, of course, if the landlord has failed to protect the deposit and/or serve the prescribed information – you can counterclaim for the penalty for non-compliance. Which will be something between 1 and three times the deposit some (the precise amount is in the discretion of the Judge – see here). Defence advocates need to look at ways of reducing the arrears before trial. Bear in mind that local authorities have budgets for what is called Discretionary Housing Payments (DHP) which can be used for people claiming housing benefit to clear arrears or top up shortfalls of rent. In areas of high housing demand you will often find that DHP will mainly be used for families in ‘Priority need’ who otherwise the council might have to pay to rehouse if evicted. 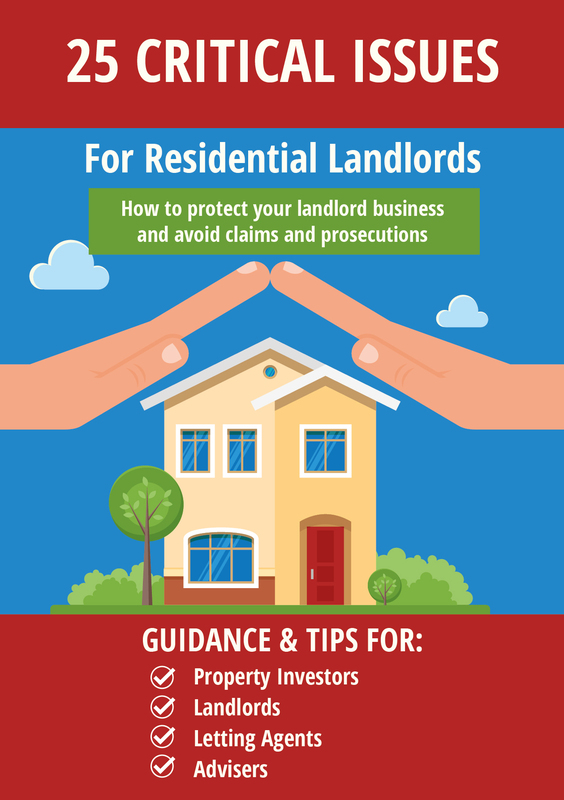 Landlords will find loads of information and guidance, should you wish to issue proceedings based on this ground, both on this blog and on my Landlord Law website service. For costs information see here. 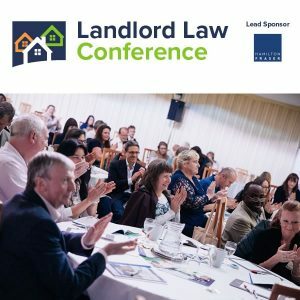 This is the last of the mandatory grounds – next time we venture into the uncertain arena of discretionary grounds – which (private) landlords use at their peril! « How much does it cost to evict a tenant? If the tenant pays just enough rent to get the owned rent under 2 months after the landlord has started proceedings, who is ordered to pay the legal costs? Costs are always in the discretion of the Judge, but in that scenario it should be the tenant. After all if the tenant had paid rent on time proceedings would never have been started in the first place. It does not seem to cover rent payable 4-weekly (quite common for private HB/LHA tenants) so s8g8 can’t be used, presumably? Yes, ground 8 can be used. It would be based on weekly. So after two lots of four weekly payments have not been made the ground will fall due. Is there a reference for this? Rent payable four-weekly is not the same as rent payable weekly or fortnightly. Of course the court would be able to rely on discretionary grounds, but at face value there is no mention of a mandatory ground for rent payable four-weekly in the Act. I see what you mean, but I have to say that I have never heard of a rent arrears claim being defended on this basis. As the act has been around for a long time I think we would have heard about it by now. I suppose if the rent is expressed as a weekly figure but payable every four weeks that would comply. Has anyone any experience of this point? What about any other time period not specified? For example a landlord giving a 6 months fix term on the condition that it be paid whole up front, and after the 6 months the tenant don’t pay any more. This is an interesting point. Neither 4 weekly or 6 monthly payments are covered in the Act. The point has never actually been settled although in practice most judges ignore it. In fact it does not really matter. Ground 8 claims are always accompanied by a claim for the discretionary grounds 10 and 11. Therefore in practice the court usually exercises its discretion to evict anyway on the basis that Parliament’s intention was clearly to evict in these cases. Another reason not to make the rent payable every four weeks. There is no need to do this anyway. The fact that the benefit office choose to pay in an awkward manner does not mean that you HAVE to fall in with this. What is the case with costs for Grounds 10 when clearly the tenant owns rent, but the judge can just decide to take no action? But it would be in the discretion of the Judge. Costs are ALWAYS in the discretion of the Judge. A case proved under ground 8 is mandatory possession the Judge has no discretion it is as strong as s21 – if proved. If so and the Judge attempts not to grant an order for whatever reason the advocate should advise them it will immediately be appealed to a Circuit Judge – who will grant the order and slap the District Judge’s wrist (in my experience). I have not received rent from my tenant since 15 June 2015 when her housing benefit was stopped as she started working full time. I have done everything in my power to persuade her to pay the rent. I have gone through the proper legal channels and am now waiting for a date for the bailiffs, having filed a warrant for possession. After thorough reading on-line, I represented myself and used Section 8 Grounds 10 and 11 but the order was “discretionary”. At first, not being a legal person, I worried over the word “discretionary” but realised I had got the possession order in any case and the tenant never attended the hearings. She continues to live in my flat without paying a penny and will not let me in for viewings after putting the flat on the market because I rightly had a go at her. I was hoping to sell before the stamp duty rise. I am loathe to spend any more unnecessary money as she already owes over £8,000. My next step is to try and recover the arrears but don’t know her place of employment so can’t apply for an attachment of earnings. I am still working out how to get her to pay. With an order granted under a discretionary ground this means the Judge can stay and suspend your order for possession as often as he sees fit, whereas if you had got your order under a mandatory ground he would have been limited to giving the tenants six weeks. It is a significant difference. Note that in all my years doing eviction work it was only rarely that I was able to get the money back. It is very difficult to enforce money judgements against defaulting tenants – mainly because if they had the money they would have paid their rent! If they don’t pay it is usually because they don’t have it. You cannot recover money from someone who does not have it in the first place. I always used to say to my landlord clients – “I can get your property back for you but I cannot guarantee to recover any of the unpaid rent.” I suspect most eviction services would say the same. This is why landlords cannot afford to delay evicting tenants who are failing to pay rent – unless they are happy to take the loss. Just thought I would mention here another point that has come to light on our Landlord Law forum. The rules for quarterly tenancies are more onerous as not only does the at last three months rent have to be in arrears, but it has to have been in arrears for three months. So presumably if the rent is payable on advance on 1 January, the landlord will have to wait until after the end of April to serve his section 8 notice. He will not be able to serve it immediately as you can for monthly tenants. This is the same for annual tenancies. 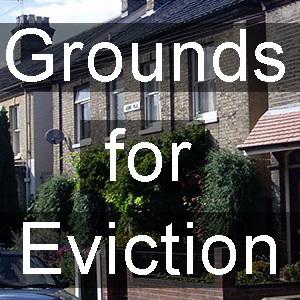 The ground is silent for six months tenancies so maybe ground 8 cannot be used for them either.